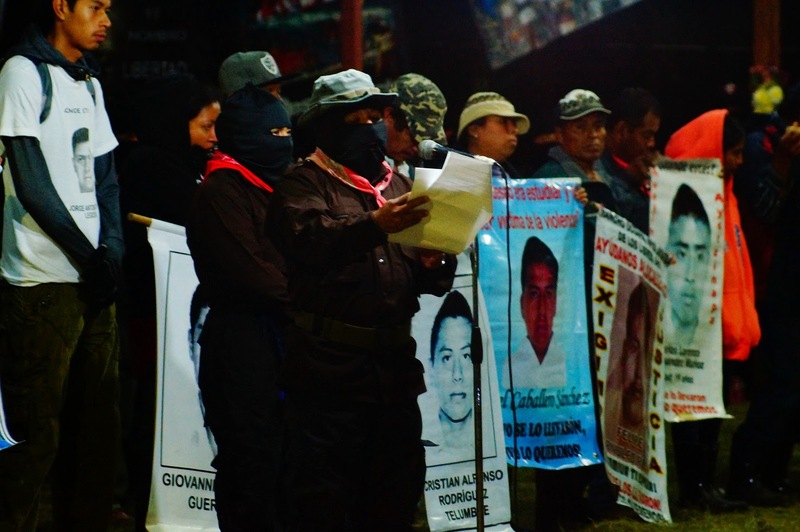 The Words of the EZLN on the 21st Anniversary of the beginning of the War Against Oblivion. We have here as our guests of honour the families of those students who are missed in Ayotzinapa, in Mexico, and in the world. 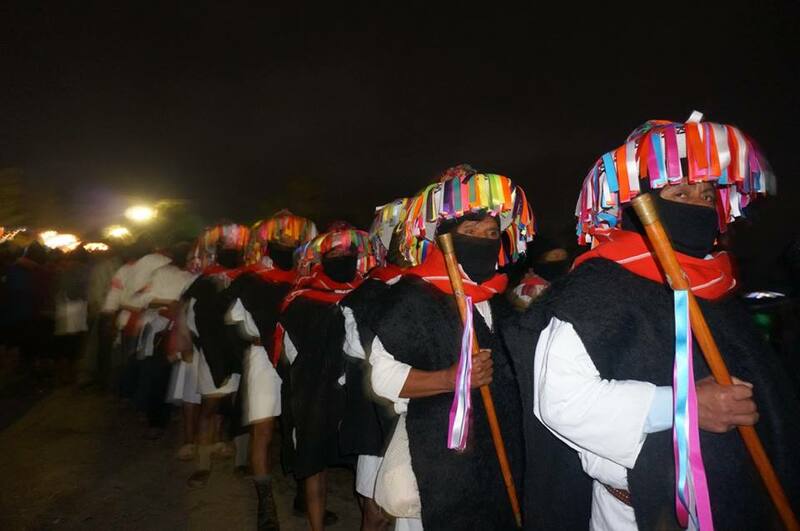 We are truly grateful for the honour that that they have done us by being here with our Zapatista communities. Their silences and words also honour us. 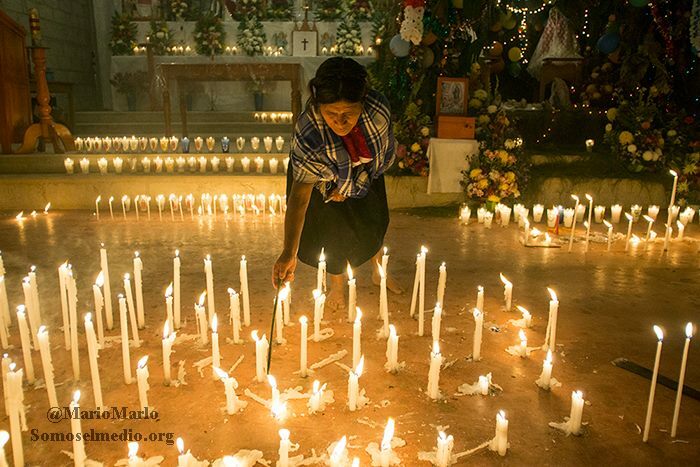 Because the families of Ayotzinapa have explained the situation very well. Like good teachers, they have explained that the system itself is responsible for this crime, working through its managers. There are many answers, many ways, many forms. It is us, the communities, women, men and others[iv] from the countryside and the city, who have to create liberty, democracy, and justice in order to make a new society. 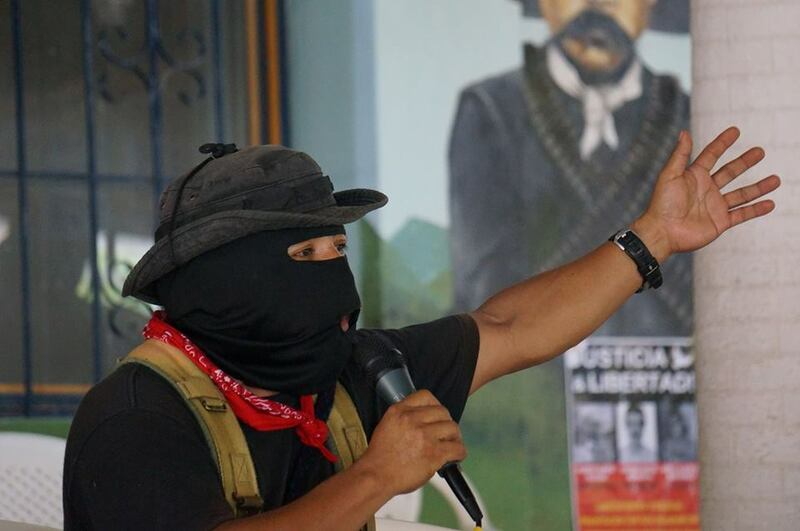 We Zapatistas want to ask the originary peoples of the National Indigenous Congress to embrace the families of Ayotzinapa by welcoming them in their territories. The wisdom that lives in the heart of the originary peoples is great, and it will grow even more by sharing their words of pain and rage with these families. As originary peoples, we know mother earth well; we work the earth and live from what she gives us without exploiting her. As originary peoples, our time is now and forever. And they still disappear us, torture us, imprison us. And they also show us that all of us, whether or not we have disappeared loved ones, must be organized. Because we will all have disappeared loved ones if we do not organize ourselves, since the narcogovernment continues to exist. Because this requires organization, work, struggle, rebellion, and resistance.